Presented by runners. For runners. The Omaha Running Club has proudly served our running community for more than four decades. Our club has managed local running events for more than 40 years and is pleased to host our signature event, The Heartland Marathon. Please help the Omaha Running Club continue to present this successful, locally owned event. Remember, it is an event put on by runners, for runners, and for the benefit of the local running community and runners everywhere. Registration is available now. 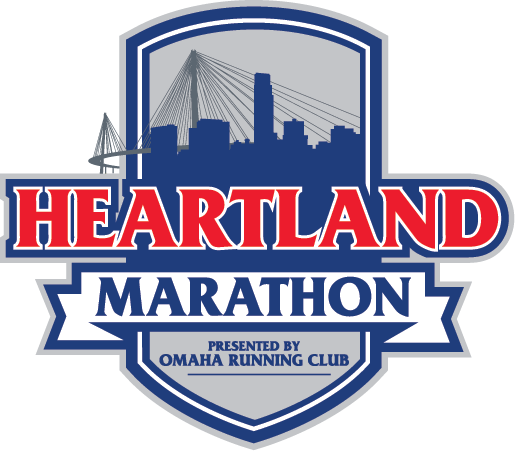 The Omaha Running Club proudly presents the Heartland Marathon. Whether this is your first event or you are a seasoned pro, ORC's signature event is sure to be a favorite. Our unique routes have you running through through the Iowa and Nebraska. Runners start at the riverfront in downtown Omaha and cross into Council Bluffs. Whether you are new to running or a seasoned pro, the Omaha Running Club has training programs and support for you! Help support the Omaha Running Club and Heartland Marathon. Sponsorship, volunteer and cheering opportunities await! Everything you need to know to register, train and on the day of the event. Grab a group of running buddies and form a Heartland Marathon Relay Team! When is packet pick up? Is there gear check? Are there aid registrations? What is a relay? Join us on Sunday, Sept. 22, for the 2019 Heartland Marathon! The Omaha Running Club has been supporting the Omaha running and walking communities since the early 1970’s. We are a non-profit community service organization with vast variety of race events, free fun-runs, training programs and community service opportunities.